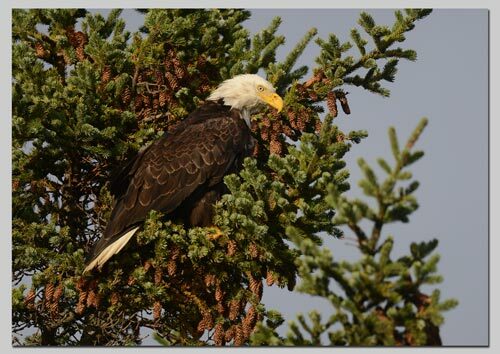 Touring in Alaska Aug / Sept 2015. Passing through Anchorage again today so a visit to Walmart to stock up on supplies. 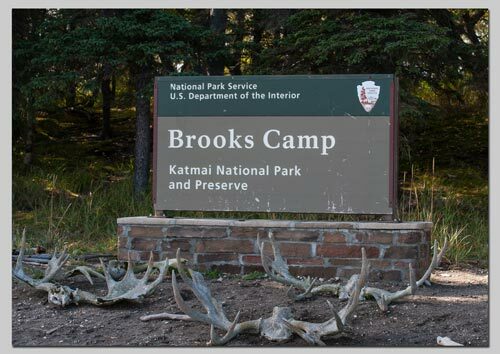 Then south on the Seward Highway and onto the Sterling Highway as far as the Quartz Creek campground near Cooper Landing. 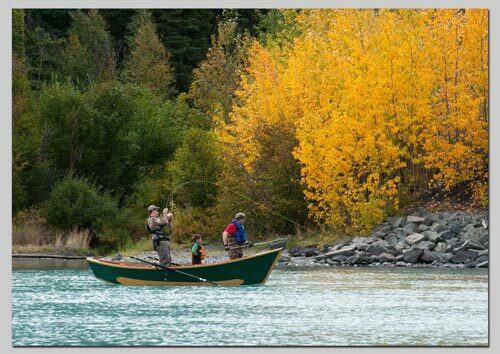 Fishing is big business here and the shores of the Kenai Lake around the campground were littered with dead and dying salmon. Every lake, river and stream was full of anglers looking for space to cast their lines. Arrived at Homer for the last few days of our trip and booked into the Ocean View RV Park for 3 nights. 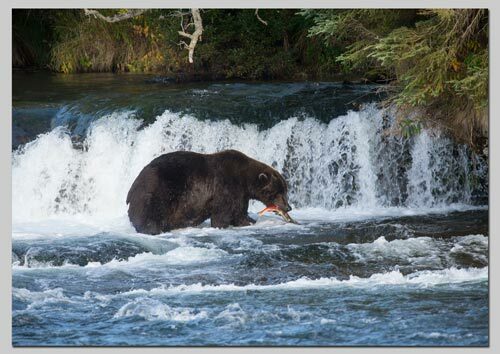 Spent the afternoon trying to book up a bear watching trip to Brooks Falls in Katmai National Park. 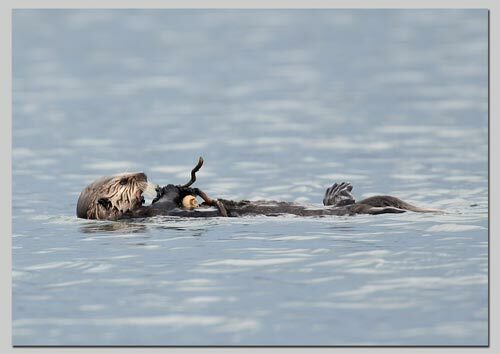 Saw and photographed our first sea otters in a fishing pool out on the Homer Spit along with a flock of Harlequin ducks & a Bald Eagle. Heavy rain overnight combined with gale force winds put our flight to Brooks Falls in doubt but Tony from Bald Mountain Air Service wasn't perturbed and after contacting Brooks and being told the weather there was fine we were off! Flying in a 10 seater single engine Otter we took off from the float plane lake at Homer and flew for one and a half hours across Cook Inlet and over Katmai National Park with its numerous lakes, mountains, volcanoes & glaciers. 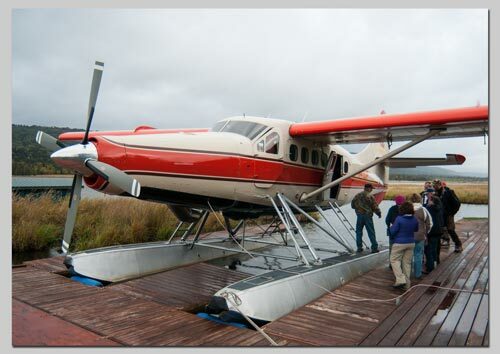 When we landed rather gracefully in the Naknek Lake we had to climb down the ladder from the plane to the beach after checking there were no bears wandering around the area. After a 20 minute safety talk and video from the Park Rangers we were set to wander the trails that lead through the woods and up to the viewing areas at the falls. We saw a few bears on the lake shore sleeping and 2 in the marshy area by the river before we took the mile hike to the falls. We came across a couple of fresh bear scats on the path confirming that 'yes they do'! 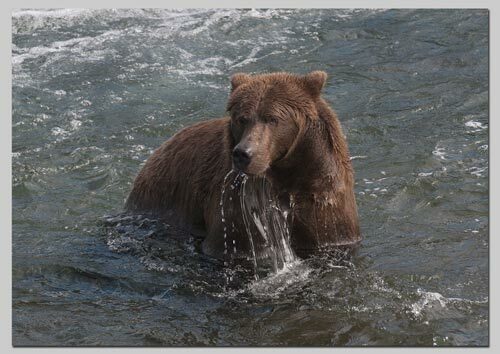 At the Lower falls we saw a huge male bear catching salmon as he walked upstream toward the Upper Falls and watched and photographed this individual as it "snorkeled" for salmon in the fast flowing water. 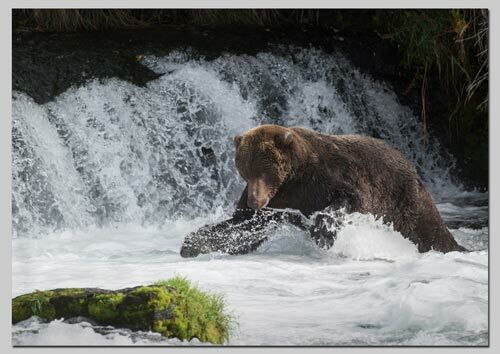 Later we watched a blonde female bear with 2 cubs playing and feeding in the riffles downstream from the falls. After an incredible day at Brooks Falls we set off back toward Anchorage and home. Spent the night at Quartz Creek. 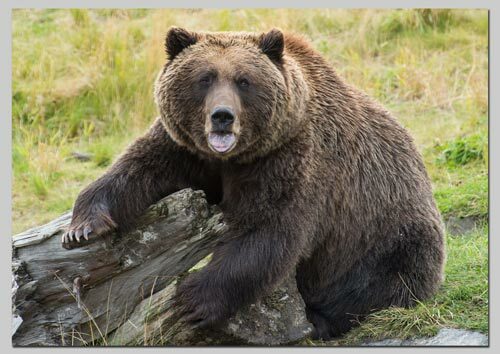 Nearer to Anchorage now and we camped at Portage Valley Cabins & RV Park and spent a pleasant afternoon at the Alaska Wildlife Conservation Centre where we saw many of the indigenous species, some being readied for rehabilitation into the wild. We drove back to Anchorage in a torrential rain storm and briefly spotted Beluga's in the water at Turnagain Arm. Handed the RV back in excellent condition and took their shuttle to the Lakefront Hotel where we spent the night before our flights back to the UK. Flew back from Anchorage via Seattle with Delta Airlines. Landed safely at London Heathrow at lunchtime, checked into the Ibis Hotel to get some sleep before the long drive back home. Some links to places and items mentioned in my text follow and are factual. Some I can recommend, some can be decidedly dodgy, and others you need to decide for yourselves! Please feel free to contact me for more information!